The stage for tonight's BRIT Awards is put into place. 9. 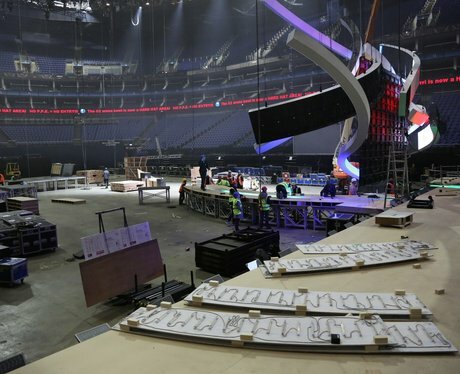 The stage for tonight's BRIT Awards is put into place.